Regular readers of this blog will know that I am passionate about good food and health. At the same time I like to get value for money – here’s a link to my Survival Guide for the Skint blog. Everyone knows that good food is better for you but people sometimes worry that it will be too expensive. I love to use fresh herbs when I cook and rather than paying to buy them all the time, I prefer to grow my own. They don’t take up much space and if you don’t have a garden, you can do them inside in pots. The cheapest way is to grow from seed. I had some problems trying to get my parsley seeds to germinate so what to do? 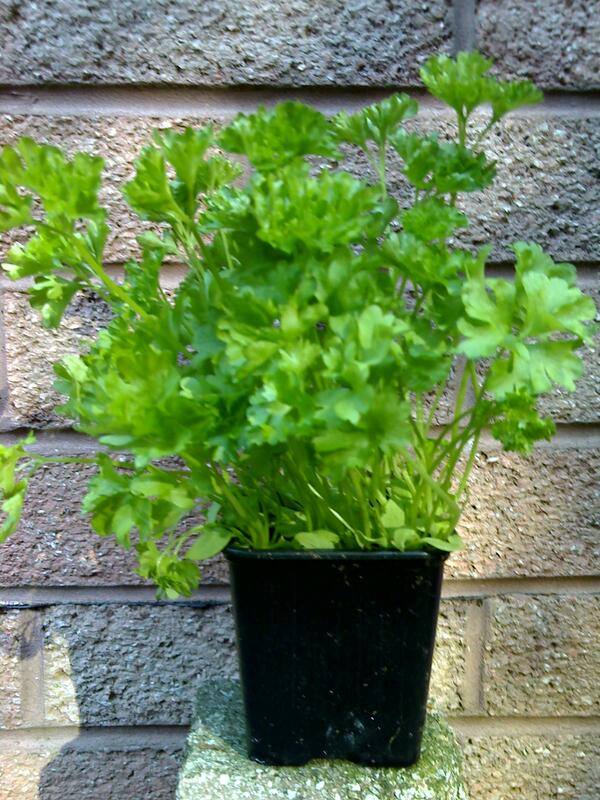 The answer – I bought a pot of growing parsley from the supermarket (~£1). They grow these by putting a very large amount of seed in a small space so they look good on the shelf. These conditions are not good for the growing plants and if you just put them on the window sill they will die fairly quickly. First I take off the largest leaf from each plant, wash, chop and use or freeze them. That’s the initial supply. Then I take the plants out of the pot, split them and carefully replant them with more space. The smallest plants I compost as they tend not to grow well. I put the remaining plants back in the pot and carry on using the leaves as they grow. I put out around a dozen to 15. Usually at least 6 of these will survive to make really big plants. 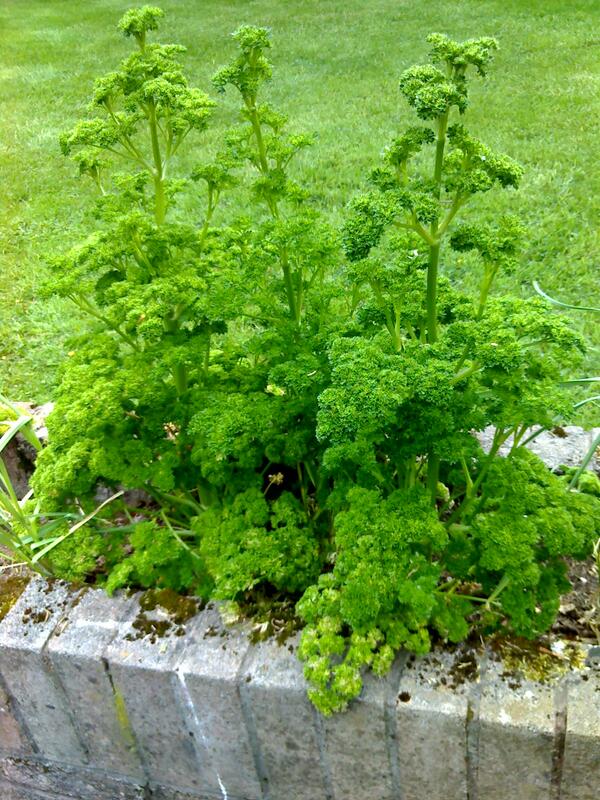 Parsley isn’t a perennial plant so you can’t leave it growing year after year. Once I have harvested the leaves, the plants bolt to flower and I dig them up and compost them. I start with a fresh batch each year. This is how much they’ll grow in a few weeks. This picture is three of the plants from last year. WOW!!!! That’s a lot of fresh parsley for £1. 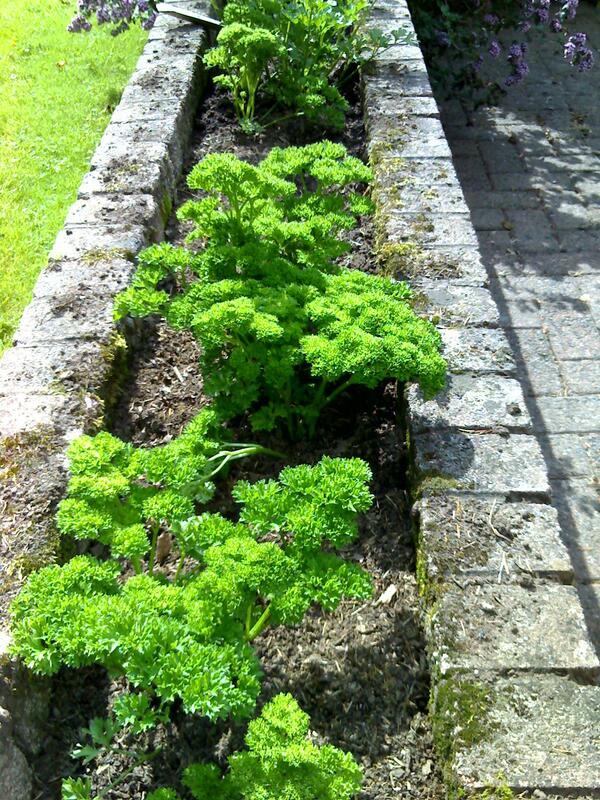 It grew so well I was able to give parsley to lots of other people too. This entry was posted in Food and health and tagged Food, Fresh, Health, Money, Natural by learntoeatwell. Bookmark the permalink.